Pie Charts are often seen as the “black sheep” of data visualization, because of the use and abuse of these graphs over the past decade. They might be taken as the “placebo” of graphs, they can be very useful in certain conditions. Indeed, when you need to demonstrate the proportional composition of a particular variable in the Dimension (X-Axis) where the parts add up to 100%, pie chart is the chart you need. The part-to-whole relationship that we find in the stacked bar or column charts is built right into the pie chart. With just one glance the audience knows that the pie is summing up to a hundred and that what is shown are parts of this whole. Pie charts are also very helpful when the exact figure is not the main point. If approximation is okay and that the pie chart can just illustrate couple of variables, it is again the one you need. Our eyes have automatically a scale on the circle of 25%, 50% and 75%. This can be harder to visualize with a bar chart for instance. However, be careful when using it: since it reflects a static view, it’s not possible to use any date field in the X-dimension. Still, you can use a date field in the filter option to define a specific time range for your chart. 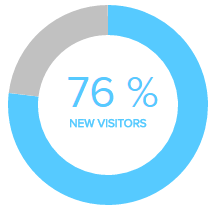 Note: Pie charts only work when you use a measurable metric in the Y-Axis and a field containing your variables such as text values in the X-Axis. The values in X-Axis will then appear in the legend of your pie chart. The donut chart is a type of pie chart with an empty circle in the middle. This is great to place a Number Chart in the middle of the pie chart on the dashboard or to simply add more information to it using textboxes or images. 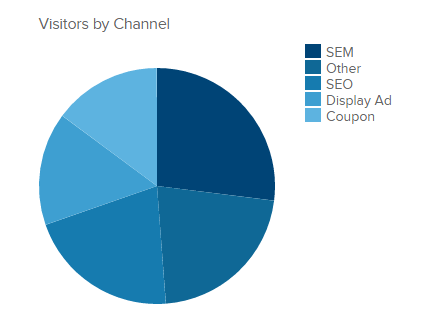 Follow these steps to display a pie chart as donut chart in datapine. Create a pie chart and add the fields from your data sources to Measures & Dimensions. Click on the Chart Options in the right upper corner of the chart preview and then select Format Chart Area. In the Chart Options on the right, scroll down to the Pie Options and select Show as Donut Chart.